There’s (digital) Gold In Them Thar Hills! A beginner’s guide to earning free Bitcoin, Litecoin and other cryptocurrencies from faucets. If you’re looking to take your first steps into the mysterious world of cryptocurrency and lay your hands on some free coins then this guide is for you. It's designed to answer the question: is it really possible to get free Bitcoin, or other cryptocurrencies such as Ethereum, Litecoin, Dash, the controversial Bitcoin Cash or any one of the dozens of other digital coins that are now circulating, online? This was the question I asked myself a while back and the conclusion I reached was yes, it definitely is possible with both faucets and mining. You can certainly earn a reasonable amount of beer money if you choose the right faucets and keep visiting regularly, and you also benefit if the coins appreciate in value. The other advantage of faucets is that they are an easy way to get started in the world of cryptocurrency without having to shell out any of your own cash. Through my travels I discovered that one of the easiest and quickest ways to pick up free crypto coins is through what are known as faucets - websites that give you small amounts of cryptocurrency for free. One thing to emphasise from the start is that using faucets is completely free. If anyone tells you you need to pay for anything at any point while you're collecting, ignore them. The only 'cost' you'll encounter is the mining fee for transferring Bitcoins to your wallet. Generally only smaller transactions of less than 50,000 Satoshi will be charged. This fee is imposed by Bitcoin miners in return for processing transactions and is taken from your existing pot. Wallets - As I've mentioned before you’ll need to set up wallets to receive your freshly minted currency before you start visiting faucets. You need different wallets for each currency you intend to collect. There are numerous wallet options available and you can spend ages trying to figure out which is the best for you, so I’m not going to bombard you with a complete list here. All you really need as a beginner is reputable and secure place to store your coins that’s going to be easy to use and not bombard you with too much technical information. A good starting place is Coinbase. You can sign up for free to begin receiving Bitcoin, Ethereum and Litecoin immediately and there's also an intuitive mobile app. You can also buy additional coins using a credit/debit card instantly, subject to transaction fees, and send coins to other people. The interface is very straightforward and features live values for your coins which will rise and fall in tune with the market. It gives you wallet addresses for each of the currencies which you can copy and paste into the various accounts you’ll use. Security - make sure your antivirus software is up to date before you get started, just to be on the safe side. Get rich quick offers - During your faucet travels you’ll be bombarded with adverts promising riches beyond your wildest dreams. Headlines such as ‘Double Your Bitcoin in Two Days’ are everywhere, but like everything in life, if it sounds too good to be true it probably is. Remember, Bitcoin is money. If someone told you about a ‘reliable’ way of doubling your money in two days would you believe them? No, you wouldn’t. Don’t get caught up in the hype - give these sites a wide berth. 1. 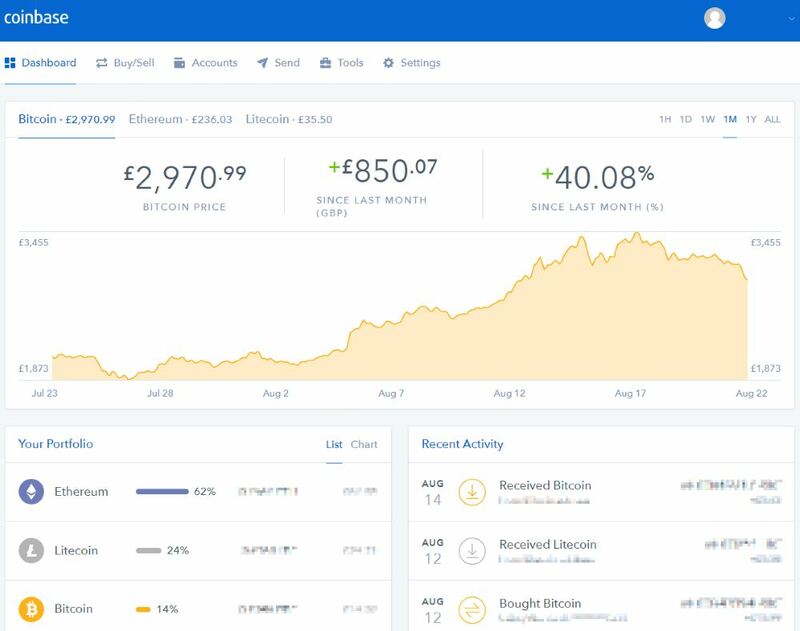 Set up a wallet account with Coinbase, or wherever you prefer, and copy the Bitcoin address it supplies you with. Do the same for other coins. 2. Set up an account at a faucet manager such as CoinPot (details below) or any other microwallet service and paste your wallet address where prompted. 3. 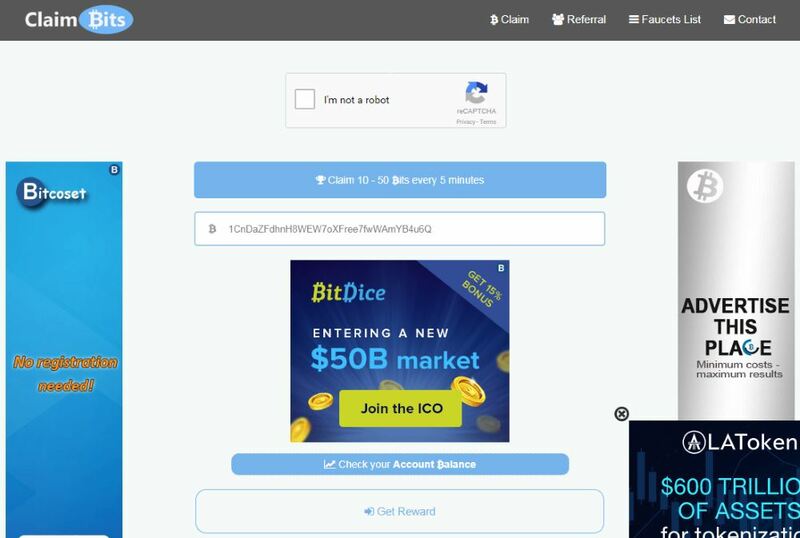 Visit a faucet site, enter the wallet address for the coin it's paying and make a claim. You money will automatically be sent to the associated microwallet through the linked address. 4. Your coins should appear in your microwallet almost instantly (if not, the faucet may have run dry, ie exhausted its supply of coins). 5. When you reach the cash out amount set by the microwallet you can withdraw your coins to your wallet at Coinbase, or wherever it's located. 6. Sit back and count your coins! 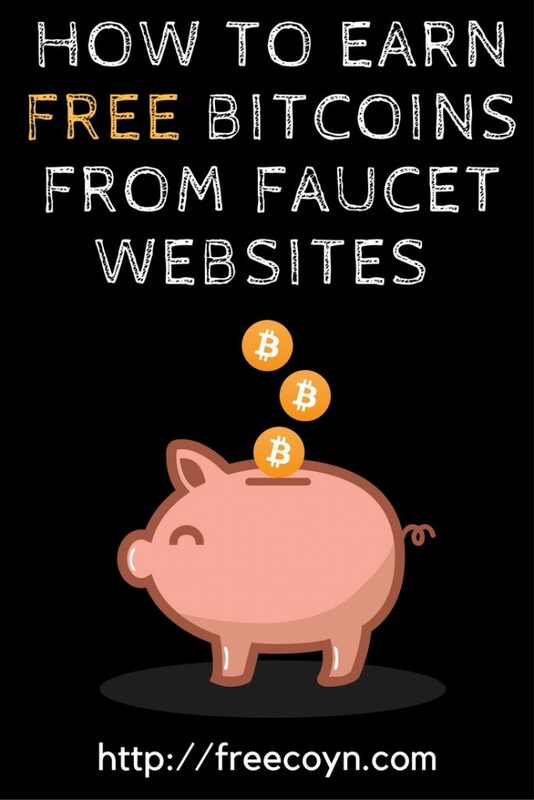 Free coin faucets are websites that reward you with a few free Satoshis (fractions of Bitcoin), Litoshis (fractions of Litecoin) or the like in return for your eyes on their advertising. There is little effort involved making it one of the easiest ways for those new to the world of cryptocurrencies to collect their first coins. As I've said, there are thousands of sites covering many different coins and it's impossible to list them all, but here's a few to get you started. You can start earning instantly and it won’t be long before you’ve amassed enough to transfer to your wallet. The sums collected from each individual faucet are often referred to as ‘dust’ because they are so negligible so you’ll have to quite a bit of clicking first. They are broken down into Satoshi for Bitcoin, Litoshi for Litecoin and Gwei for Ethereum. In Bitcoin’s case, 1 BTC = 100,000,000 Satoshi. As you can see, you’ll need to collect quite a few before you get a whole coin! Despite the tiny rewards, faucets are a great introduction to the various coins out there and with enough time and patience it is possible to collect a few £/$ worth of digital currency absolutely free. And with the meteoric rise in the value of some cryptos over recent years it’s possible that your haul will rise significantly in value over time (relatively speaking!). But here’s the caveat to all investments - the value of your investment can go down as well as up! I became obsessed with faucets for a while, mainly because I wanted to find out more about the cryptocurrency world. Plus, I like free money! I spent some time seeing just how much I could reasonably collect while juggling a full time job and a young family. I found collecting the small portions of cryptocurrency mount up ready for withdrawal to a wallet quite addictive, but it certainly doesn’t make economic sense to try to make a living out of it. The main piece of advice I’d give anyone delving into faucets for the first time is: do it for fun and an introduction to the world of cryptocurrencies but don’t take it too seriously. For the purposes of this guide, I’m going to focus on collecting two of the most popular coins - Bitcoin and Litecoin. 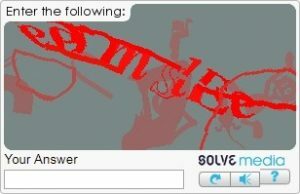 You’ll come across various different anti-bot checks, such as having to answer simple questions or converting numbers into Roman numerals. You’ll quickly learn how to navigate these small challenges. One thing you’ll discover is that there are thousands of faucets out there, each paying out tiny amounts of currency per claim. This is a typical example of the sites you'll come across and the majority follow a similar pattern, give or take. At first you might not know where to start, but you'll soon become familiar with them. Most faucets follow a fairly set pattern - enter wallet address, click on a Captcha, shut down pop-up, click Captcha again, go to a redirect screen, complete another anti-bot test, click 'claim' and voilà!, your coins are on their way. Keeping track of everything quickly becomes a challenge, particularly as the tiny payments are too small to do anything with on their own. This is where faucet managers can help. They allow you to collect all these tiny pieces of cryptocurrency together into one, easy to manage pot. You’ll need to collect enough to reach a minimum withdrawal threshold, often 10,000 - 20,000 Satoshi in the case of Bitcoin, but this is much easier when your coins are funnelled into one convenient place. Most faucet sites are linked to one faucet manager or another (some both) and transfer your coins instantly. However, you will come across the odd faucet that has its own payment threshold and pays directly to your wallet but it can become a real slog trying to make the threshold on these sites. Even with faucet managers you’ll need to put in a fair bit of time before you collect enough coins to withdraw, especially as the amount paid out by faucets fluctuates depending on the underlying market price of the coin you’re collecting. Payouts can vary from 2-100 Satoshi, or 1000-2000 Litoshi depending on current prices so it’s worth hunting around to find the best playing faucets at any given time. You also need to balance the payout with how much effort you need to be put in to get it - ie how many Captchas you need to fill in and pop-ups/unders you need to dodge. CoinPot - Simple to use and our personal favourite. Faucet Hub - Comprehensive site supporting nine coins. This is my favourite manager and a great starting point for the novice coin collector. I’m a big fan of the easy to use interface and flexibility. 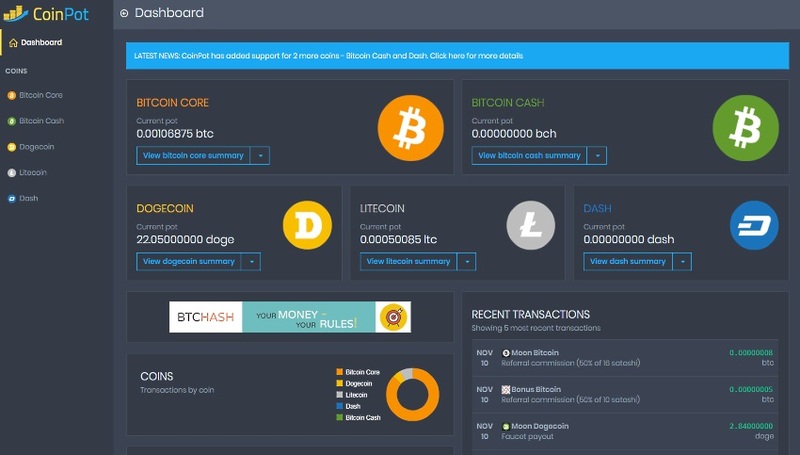 CoinPot enables you to collect Bitcoin, Bitcoin Cash, Litecoin, Dash and Dogecoin under one roof. It also gives you the option to use your browser to mine coins using the popular Coinhive software. It also offers the rather natty feature of allowing you to convert between your collected currencies. So if you’re short of your withdrawal limit for one currency you can convert from another to enable you to cash out. Remember, you’ll need a wallet address to link the faucets to your CoinPot account and to withdraw your coins to once you reach a certain threshold. At present, Coinbase doesn’t support Dogecoin. There are a limited number of sites connected to CoinPot, but the ones that are connected pay well and are easy to use and reliable. CoinPot itself pays out quickly when you reach the threhold and decide to withdraw your coins. Bit Fun also offers a number of other ways of earning some coins, including surveys which can pay particularly (relatively speaking!) well - you can easily earn 15,000 - 25,000 satoshi for completing one which takes about 20 minutes. If you decide to go down this route it’s best to be honest with your answers as there are several ‘check’ questions along the way to ensure you’re not trying to game the system. However, it’s always wise not to give away too much personal information online. Some surveys can be quite painstaking to complete but the rewards/time spent often far outweighs the time you spend clicking on faucets. The three Moon sites also offer a loyalty scheme where you gain a 1% bonus to your faucet claim for each consecutive day you visit, up to a maximum of 100% of the payout value. The payouts generally appear in CoinPot almost instantaneously but you may have to wait several days before you’re able to withdraw the coins. 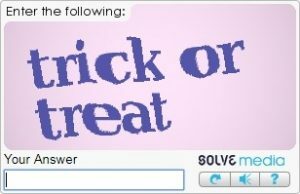 This is part of the checking process to ensure you are a real person and not a bot. 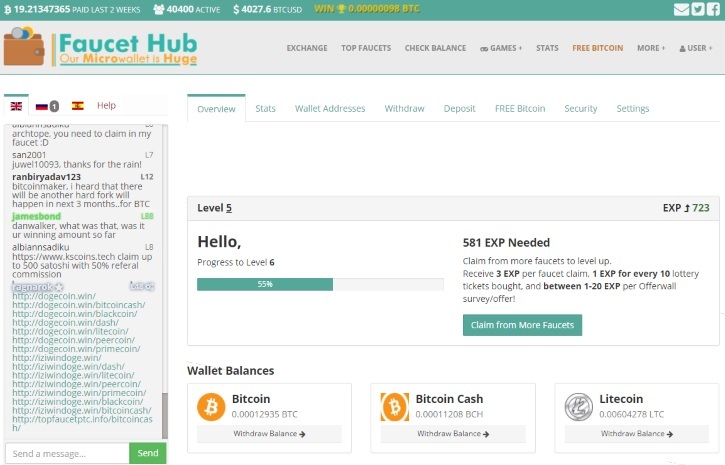 Faucet Hub is a comprehensive site that enables you to collect together nine different currencies - Bitcoin, Bitcoin Cash, Litecoin, Dogecoin, Blackcoin, Dash, Peercoin and Primecoin. It offers an easy to use interface, a list of faucets to get you started and access to other sources of coins, such as offerwalls and surveys. This site also enables you to set up your own faucet as well if you’re feeling adventurous. Below are a few Faucet Hub-linked faucets to get you started. I’ve used them regularly and they seem reliable but please get in touch if you encounter any problems. Many of these sites offer additional faucets for different currencies, together with games, hi-lo gambling and other ways you can win (or lose!) your coins. As one faucet disappears, so another emerges with the same garish adverts and pop-ups. Just move on and keep clicking. You’ll gradually begin to find the faucets that pay the highest amount with the shortest times between claims and these are the ones to focus your effots on. As I’ve said already, there are thousands of faucets out there and clicking through hundreds of tiny tabs on your browser can be a real ball ache. One solution is to use a faucet rotator. This allows you to cycle through a selected range of faucets within a frame in your browser so you only need one tab open. However, faucet owners often code their sites so they can’t be used within rotator applications as they often disable much of the advertising that makes them pay. Rotators can be hit and miss and not the most reliable way of efficiently collecting coins. It’s worth mentioning that faucets can be quite ephemeral and will come and go overnight so you need to shop around often. Some faucets run dry, ie the owner has stopped funding the visitor payouts, but neglect to mention this fact and carry on operating as if all is normal, complete with payout notices. Check your faucet manager balances often to ensure sites are paying as they should. All the faucet managers I’ve mentioned given you an itemised breakdown of who’s paid you what and when, with almost instant updates. I hope you’re enjoying collecting your own cryptocurrencies and watching the value of your hill of digital beans rise and fall like a rollercoaster as the price of the currencies fluctuate. But the reality is this - the easiest and quickest way to secure a chunk of digital currency is by buying some. There are numerous places you can go, with varying degrees of complexity, such as Etoro, Coinbase which we’ve already mentioned, poloniex or kraken. I’ve bought coins on Coinbase on several occasion without any problems and I find its simplicty refereshing. It’s worth remembering that despite the almost mythical status of cryptocurrency at the moment, it’s a currency like any other. That said, even though you won’t make your fortune from collecting free coins from faucets, you will secure a small piece of history. As to whether it turns out to be worth more or less than it is now remains to be seen. Certainly with Bitcoin, and some other currencies, there is only a finite number that will ever be mined. In Bitcoin’s case this is 21,000,000. So in the distant future it’s possible that your handful of Satoshi may turn out to be collectible, either that or dusty pieces in a digital museum somewhere. Were Microwallet User Accounts Hacked? Is Moon Bitcoin Faucet A Scam Or Legitimate? Do I Have To Buy A Whole Bitcoin To Start Investing? What Are The Coinbase Free Bitcoin Faucets? Can I Mine Alt Coins Using My Browser? What Is A Bitcoin Faucet And Why Do They Give Free Coins? What Are The CoinPot Microwallet Faucets? What Makes Moon Bitcoin Such A Popular Free Faucet? How Can I Earn Free Bitcoins Online? Why Is Free Bitcoin Such A Popular Free Faucet? Are Free Bitcoin Faucets Legitimate? Disclaimer: The faucet links featured include referral codes to help pay for this site. If you wish, you can visit the faucets without these codes - it's entirely at your discretion. Thank you.